Our custom printed socks are the hottest trend in sock fashion. 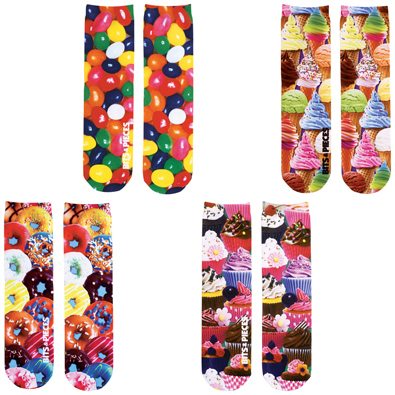 Printed with vibrant imagery on both sides, these socks are eye-catchingly awesome. Lightweight, soft and comfortable, each pair is knit of 100% polyester, measuring 14" in length. One size fits most. Three collections of four pairs.